Senator Mario M. Scavello currently serves as State Senator for Pennsylvania’s 40th Senatorial District, representing portions of Monroe and Northampton Counties. Prior to his election to the Senate, he served more than a decade in the House of Representatives, representing Monroe County’s 176th Legislative District. 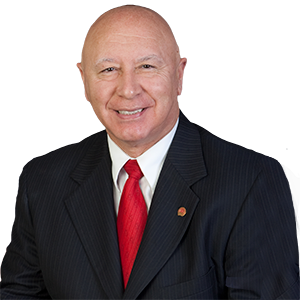 Senator Scavello is Chairman of the Senate Community, Economic & Recreational Development Committee; Vice Chairman of the Senate Consumer Protection & Professional Licensure Committee; and serves on the influential Senate Appropriations Committee. In addition, he serves on the Senate Game & Fisheries Committee; Urban Affairs & Housing Committee; Transportation Committee; and Majority Policy Committee. Mario’s House tenure was highlighted by steadfast advocacy for school property tax reform and active involvement in the state budget process as a member of the House Appropriations Committee. He served as majority chairman of the House Labor and Industry Committee for the 2013-14 legislative session. As Senator, Mario has continued to push for support and action on many issues critical to the 40th Senate District including school property tax reform, transportation infrastructure investment, economic development and tourism promotion. Mario has also taken a lead role in supporting expanded vocational-technical skills training for students entering the trade fields and continues to voice his support for all-day vocational-technical school to help address the skills gap in the Commonwealth. Mario has repeatedly introduced, voted for and supported legislation to shift school funding away from the burdensome school property tax, which threatens both families and seniors trying to stay in their homes. He also supported the implementation of the Commonwealth’s new, fairer education funding formula and has successfully brought millions of additional education dollars back to his home school districts. With an extensive background as a small business owner, Mario has brought commonsense, fiscally responsible leadership to the public sector. He is a former mayor of Mount Pocono, former chairman of the Monroe County Board of Commissioners and is very active on the local level as a community leader. Mario has served in many organizations, including the United Way of Monroe County, Knights of Columbus, Rotary Club and Sons of Italy. He currently serves on the East Stroudsburg University Council of Trustees, the American Red Cross of Monroe County and the Monroe County Area Agency on Aging. A graduate of Theodore Roosevelt High School in the Bronx, Mario also attended the City University in New York. He and his wife Mary Ann have celebrated over 40 years of marriage. They have two grown daughters, Michelle and Melissa, and four grandchildren – Braydon, Madelyn, Lucas and Brynn.